My travels for 2014 have started, and in the best possible way. 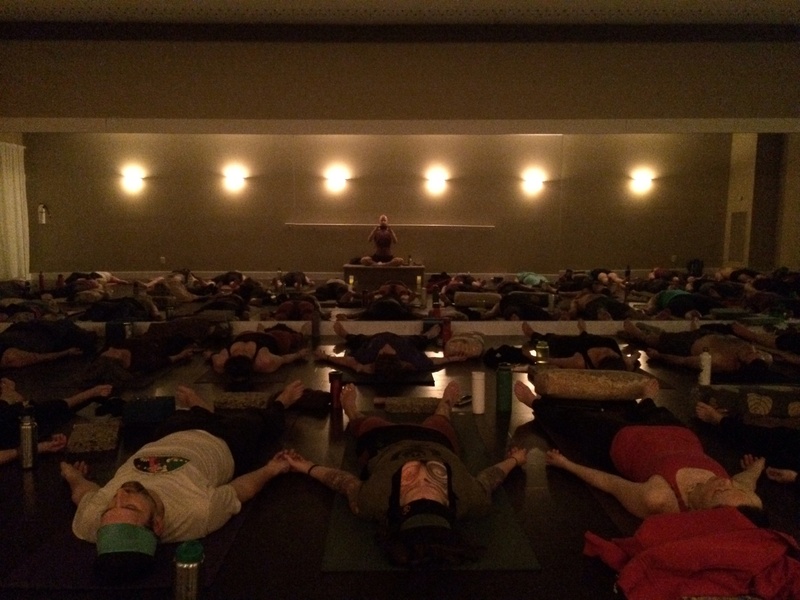 I’m lying on the bed in my hotel room after a weekend-long run of 5 workshops at the Kamloops Yoga Centre, and the community I found waiting for me here completely took me by surprise. I purposely didn’t research Kamloops before coming here. I was invited to come teach shortly after my stint in 2013 at Wanderlust Whistler (see here and here) and decided to take the gig and bring my teachings over, while exploring more of the beauty that is British Columbia. Seeing the magnificence that Canada holds never ceases to amaze me, but it was way more than the landscape that grabbed hold of me when I arrived here. Within an hour of landing and being whisked into town by Joy, studio manager extraordinaire, I was seeing my image across town on posters and magazine covers. I was humbled, to say the very least. The community waiting for me is just that – a community. The people here welcomed me with open hearts and arms, and made me feel so grateful for being appreciated. I was adopted into their community, and now, at the tail-end of the weekend, am preparing to leave Kamloops with a bit of a heavy heart. I love it here. The feedback and outpouring of emotion from the students at the end of the 14 hours of time we’ve had together has been everything I could have asked for, and way more. From people telling me that I’m helping them in their personal evolution and development to working yoga teachers telling me that it was a breath of fresh air to have me bring my take on things to their studio, I feel more than loved. I’ll be back later this year when I come back to B.C. to teach for a couple of weeks. Until then, I’m confident in the knowledge that I’m leaving with a bit of Kamloops in my heart and my mind, and I also know that Kamloops is keeping a whole lot of my energetic presence here.